Better late than never – it’s my library-loving blog challenge results! Led again by the awesome Jenn Hubbard, the overall challenge rallied 16 participants in its third year. 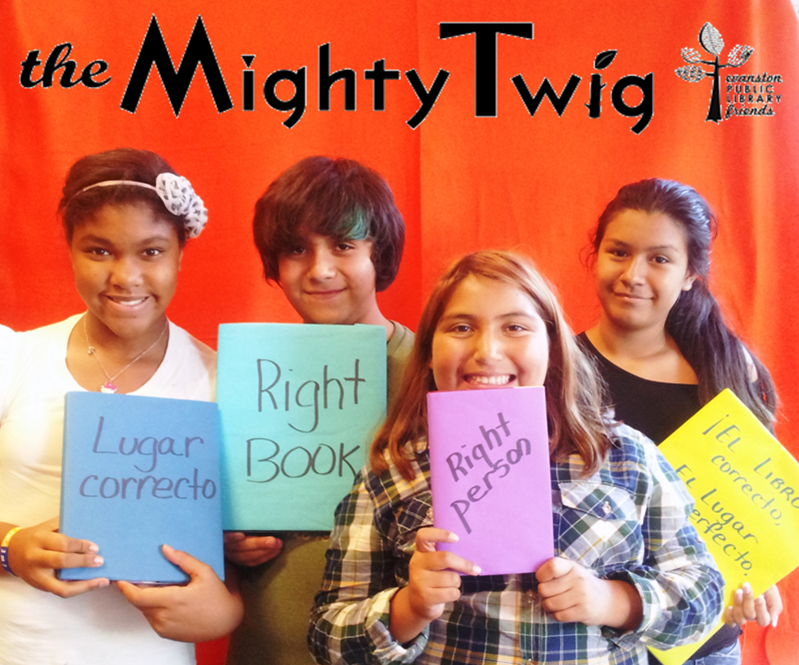 My challenge began on March 28, when I pledged to donate $1 to Evanston’s The Mighty Twig for every comment on this post and every new @margorowder follower. I extended my challenge until 4/5. On that last day, I upped the ante: $5 for every comment and new twitter follower. Overall, Jenn’s challenge raised $1821 for local libraries. Let’s hear it for library love! I Still Love Libraries – You Comment, I Donate! Update: My challenge ends today, 4/5/11. I’ll donate $5 for new comments and followers! I’m taking part in this year’s library-loving blog challenge. Last year’s was so much fun and successful, I had to sign up again! For every unique commenter on this post between now and April 5, 2011 at 11:59pm CST, I will donate $1.00 to Evanston Public Library Friends – up to $150. How easy is that? You comment, I cough up the money, and the EPLF gets a gift! This year’s challenge adds a new component – Twitter followers. 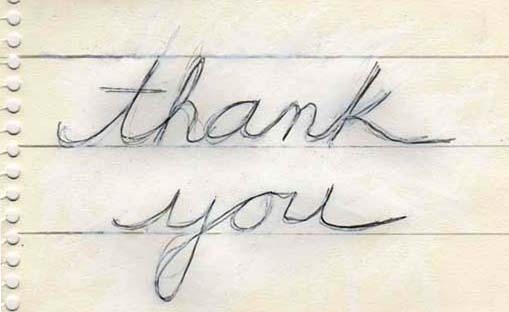 For every new follower I get and keep between now and April 5, 2011 at 11:59pm CST, I will donate an additional $1 – up to $100. So if you haven’t already, follow @margorowder for a good cause. This year, helping the EPLF is more important than ever. Because the city didn’t renew its South Branch library lease, just last Saturday the Friends opened The Mighty Twig, an experimental outpost with books, computers, internet services, and a variety of programming and events. The Mighty Twig runs on a completely honor-based circulation system and it’s managed entirely by volunteers. 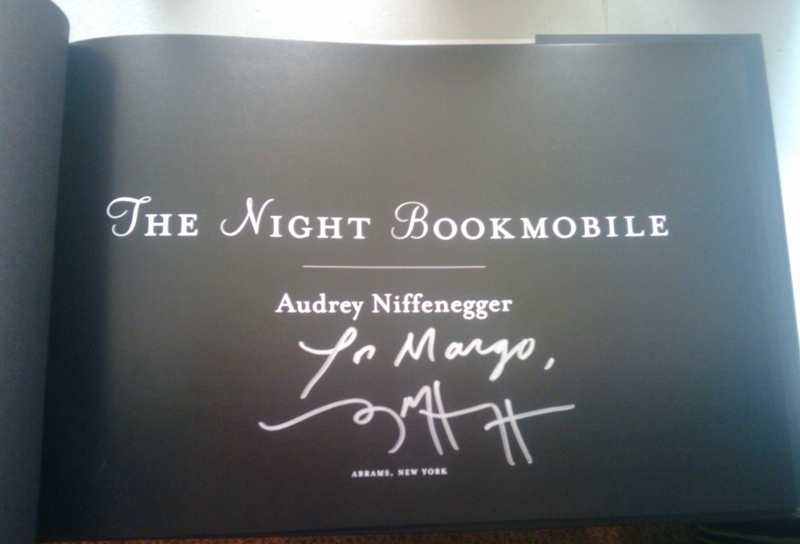 The Mighty Twig saw 500+ people check out 300+ books at our Grand Opening Celebration on Saturday. To the Friends, this seems to validate the need and citizen support of our efforts to provide this important community space. We hope this experimental concept can lead to bigger and better things for EPL system as the Library Board continues its Visioning process. The need, energy, and momentum for bringing more library services to various neighborhoods throughout Evanston is alive and well in the Evanston community. The EPLF needs $150 per day to run The Mighty Twig, so please add your comment below to support this amazing effort. You can also help this year’s challenge by spreading the word on Twitter, Facebook, or your own blog – AND by commenting on other participating blogs in the blog challenge master list. If you’d like to start your own challenge or donate to your own library, please include the amount and the name of your library system in your comment. Add your comment and follow @margorowder today. Thanks, library-huggers. I’ll post a follow up soon.